When Caplugs had a problem that was about to become a crisis, they needed Innovia's help to get their system straightened out. 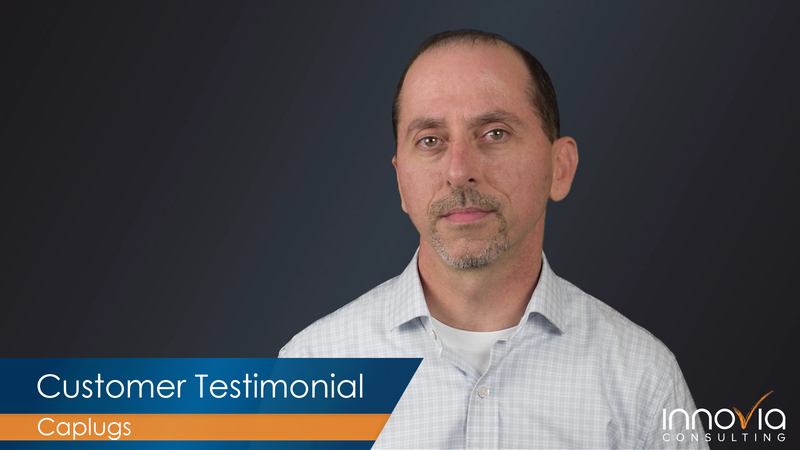 Watch this video testimonial from Tony Darden to learn how NAV partner Innovia Consulting was able to resolve their issues and even went a step beyond their expectations. Caplugs has been a global leader in product protection since 1948, offering the widest range of solutions, including plastic caps and plugs, masking devices, tubing, containers, wraps, and more.With manufacturing and distribution facilities all over the world and headquarters in Buffalo, NY. Caplugs can effectively serve its customers wherever they are with reduced production and delivery times. They offer comprehensive custom capabilities through a team of design engineers, who will work one-on-one with clients to develop a custom molded piece that fits your needs.